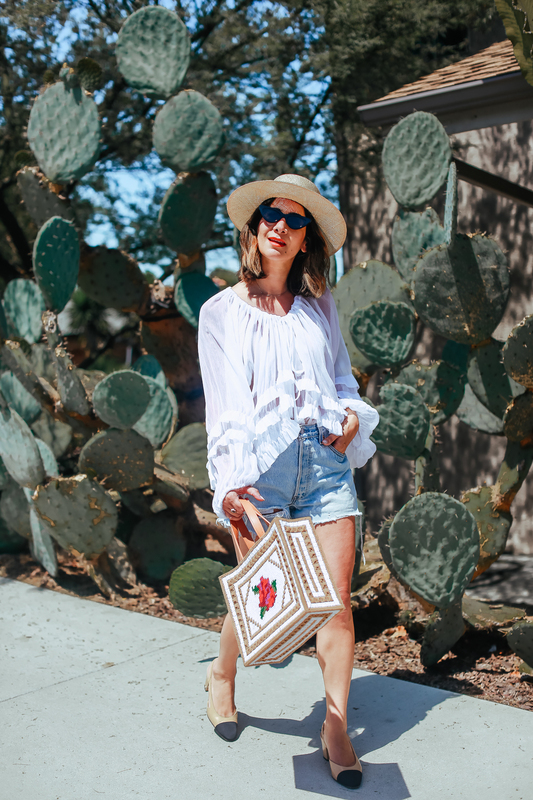 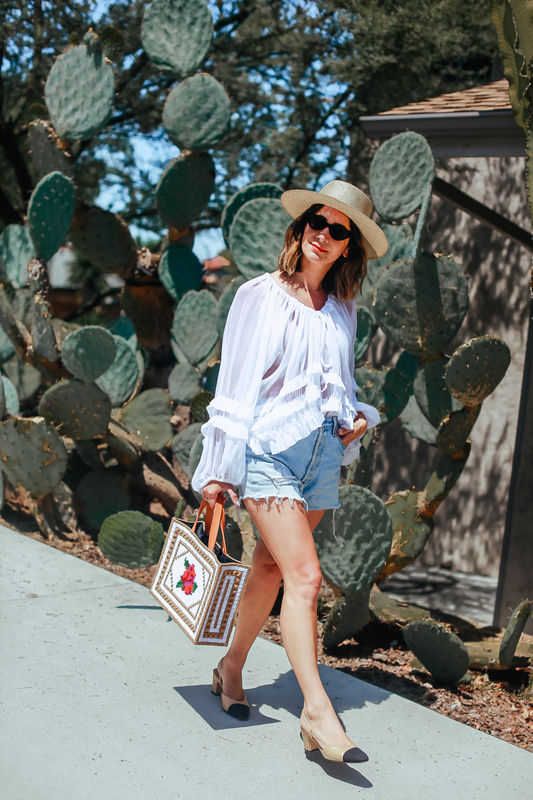 A flowy blouse (check), denim cutoffs (check), classic slingbacks (check), and straw hat (check). 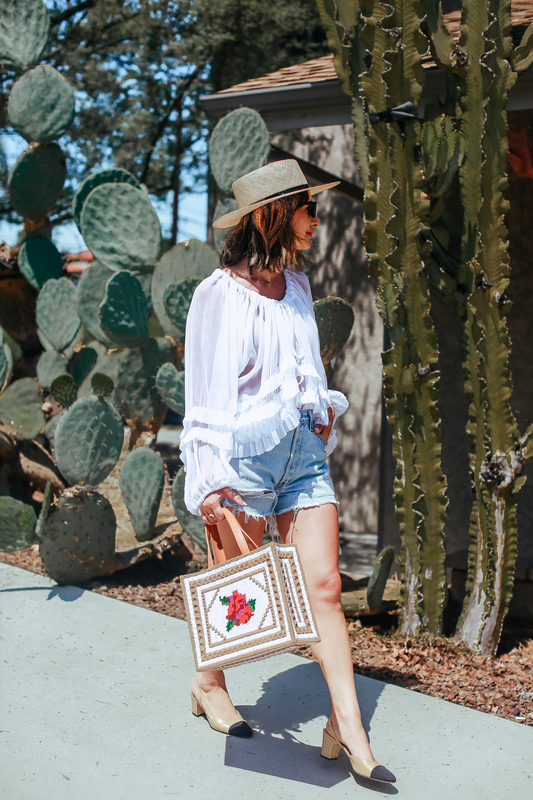 This is one of those easy outfits that work most of the year here in Los Angeles. 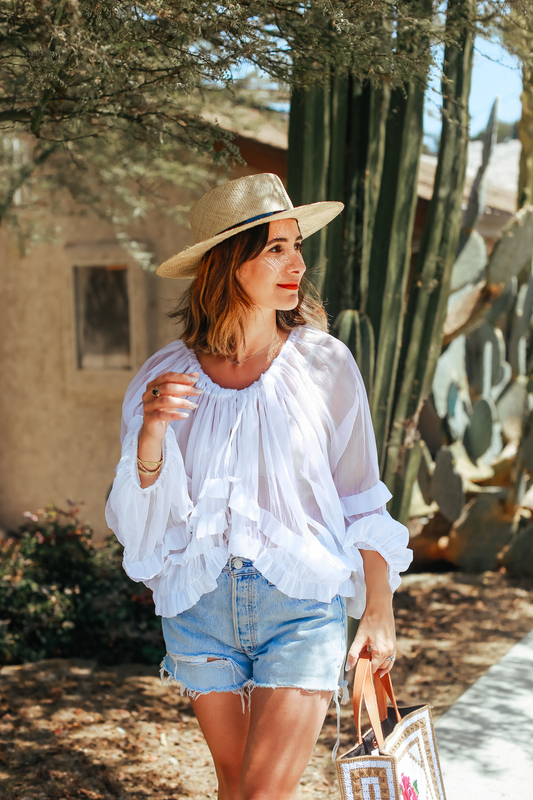 This vintage blouse was a find from Pickwick Vintage from a few years back and it’s one of the pieces I’m always asked about. 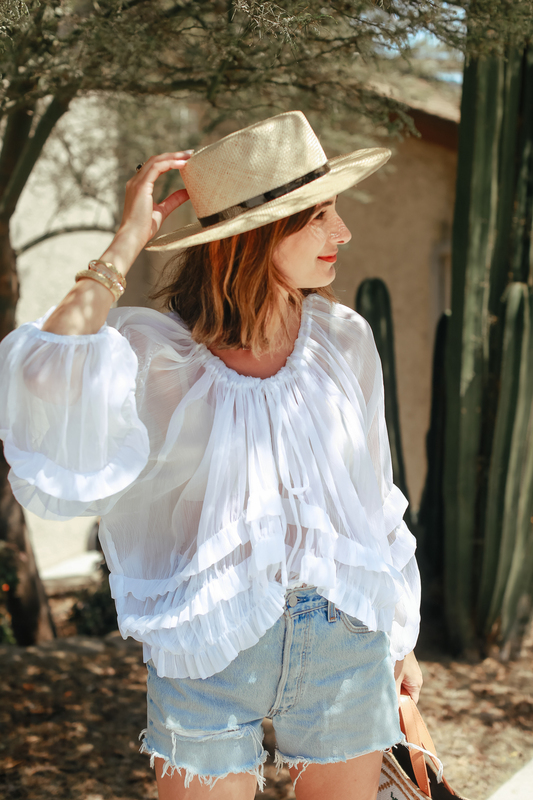 It doesn’t have any labels or marks on it, so it’s a mystery designer, but it doesn’t really matter since the ruffles and the sleeves make it one of the prettiest blouses I own.